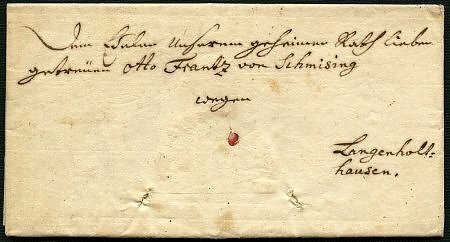 Prussia 1770, pre philately letter with complete content from Bonn to Langenholzhausen with five-lined address. Cover at Otto Frantz Schmising with preprinted Request, command at the 20. August in Arnsberg to appear. 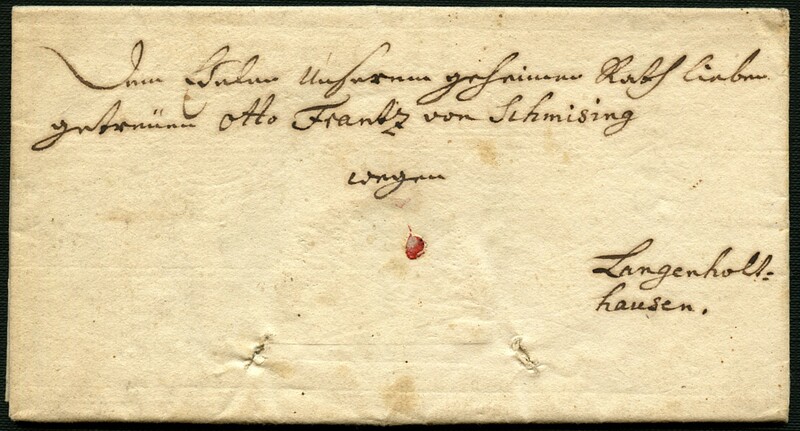 Cover dated Bonn 26. July 1770 from Archbishop Marimilian Friederich Elector from Gymnich. Historical document. Sealed with paper seal, is enclosed. Printed signatur.